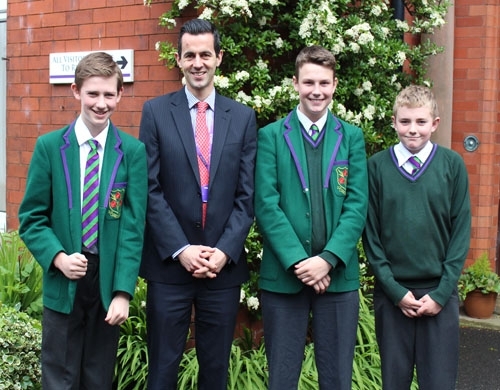 We would like to give an official Westholme welcome to Mr James Dumbill, who joined us last week as our new Assistant Head, who has particular responsibility for boys. James comes to us from St Bede’s College, Manchester, where he taught Classics for 13 years. He was also Head of Sixth Form. He has really enjoyed his first week at Westholme and says he has been warmly welcomed by staff and pupils alike. During his first week, he particularly enjoyed watching the Year 7 boys perform their LAMDA distinction winning scene from Bugsy Malone. James is looking forward to getting to know everyone over the coming weeks and months and can’t wait to start teaching some of them from September. During his spare time, he enjoys playing football, watching films and reading biographies and history books. He also likes to travel around Europe and ski. He has a two year old daughter who also keeps him busy with frequent visits to parks zoos and farms!